We offer a full art consultancy in homes and offices to assist with direction and sourcing. 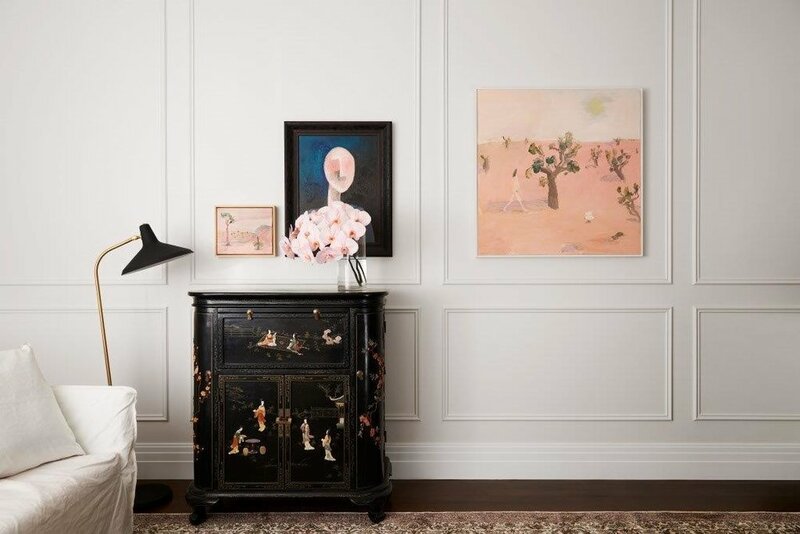 We will start with a discussion surrounding budget and your art collection strategy - scary words, but put simply it gives us an idea of the direction and styles we’re looking at. SGS can also facilitate art purchases through Art Money and assist with insurance and art maintenance. Framing co-ordination along with placement by us, and hanging by our specialist picture hanger can also be arranged as required. 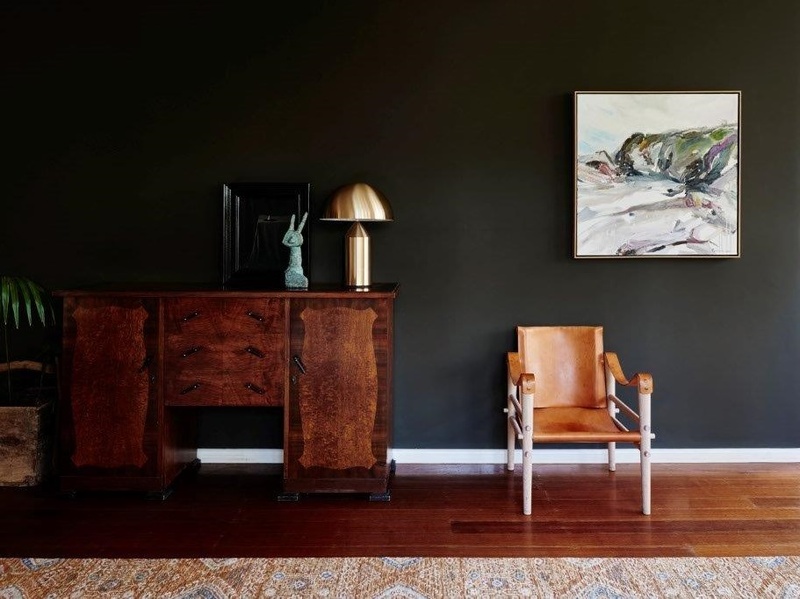 We realise that art sourcing, commissioning and purchasing is a time consuming and sometimes confusing aspect of furnishing your home or office. Galleries can be daunting places to visit, so let us guide you through the process with our network of super friendly and approachable galleries, established and emerging artists. We work with a broad range of Australian and International galleries and attend art fairs to source the widest range of styles from photographic portraiture and still life, sculpture and multi-media through to contemporary and abstract styles. We adore the thrill of the chase, and unearthing new talent to complement the designs we’re working on… get in touch with your brief - we look forward to the challenge! 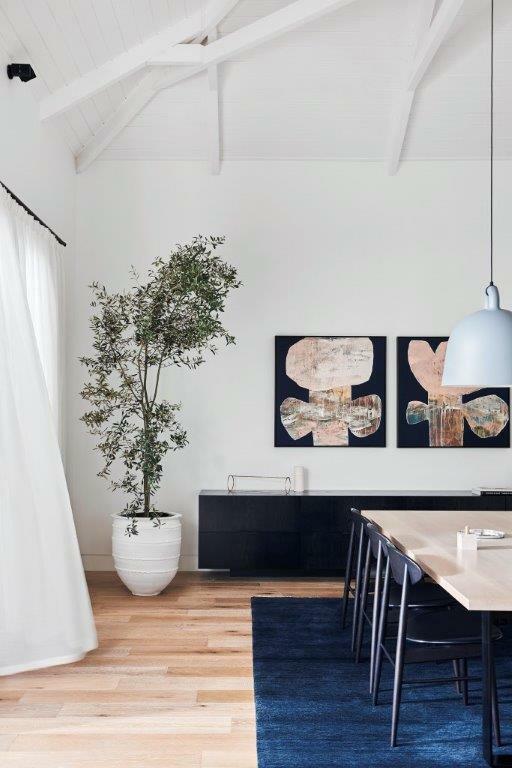 In designing this home, we always envisaged hero art for the wall above this floating buffet, and sourced these two stunning pieces for our clients by artist Ngaio Lenz to hang side by side. The colours and loose, textural style complement and soften the more structured aspects of this space. Working on this home with our clients was too easy. It was the fourth project we’d worked on together so we had a very clear idea of their tastes and aesthetic. We had a wonderful brief to specify all furniture and lighting, so that we could ensure it all worked perfectly together. This room actually started with the beautiful silk rug - we call it art for your floor! 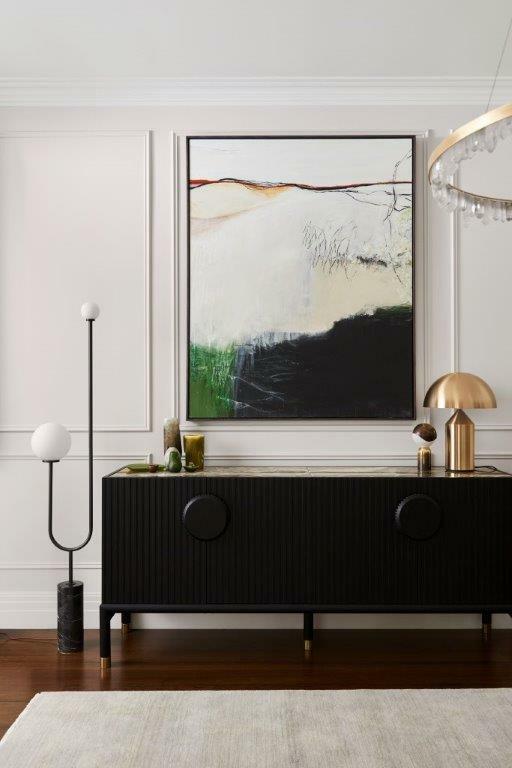 The Vintage cocktail cabinet drove the need for darker elements, and we ended up with a stunning asymmetrical display of three original works in oil from L-R Andrew Pye; Jiri Tibor Novak; Vanessa Stockard. In a household that appreciates beautiful art, it was a pleasure to extend and curate the collection for this client. We grounded the room with a beautiful hand knotted wool and silk Afghan Kandahar rug, and added a mix of different art media to the space. From L-R Cricket Saleh; Mark Cuthbertson; Atollo lamp by Vico Magistretti; Richard Claremont. 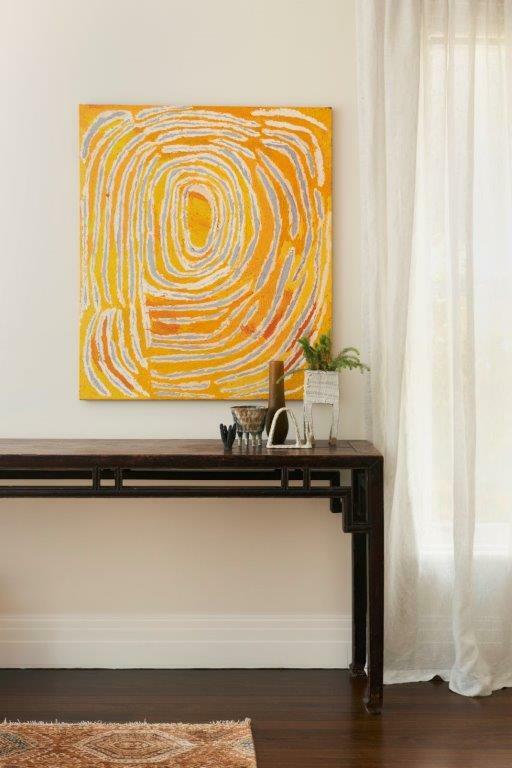 A striking oil by David Beaumont, the perfect piece to provide balance and texture to this dining room.